I have to admit that at the 2009 Toronto Boat Show, we went a little wild and bought three expensive pieces of boat equipment – the dinghy, the kayak and unfortunately, the Nexus wireless wind instrument. 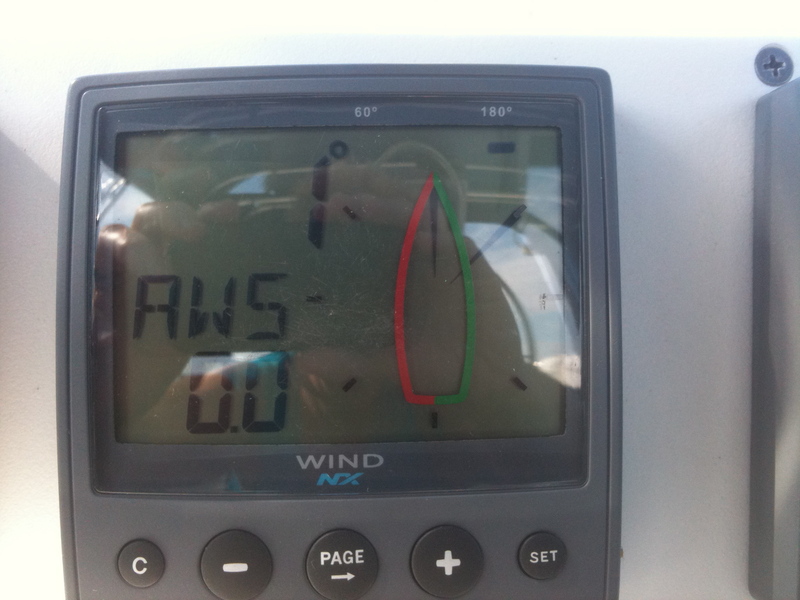 I guess we got spoiled from our last boat – a Hunter 33 – it had a great wired wind indicator and we loved it! It made boating even more fun knowing the speed and direction of the wind (something to brag about in the anchorage). Anyway, we bought the Nexus wireless wind instrument for $1300 and it has only worked for two weeks. (Notice the year – it is now 2011). Here’s what happened. 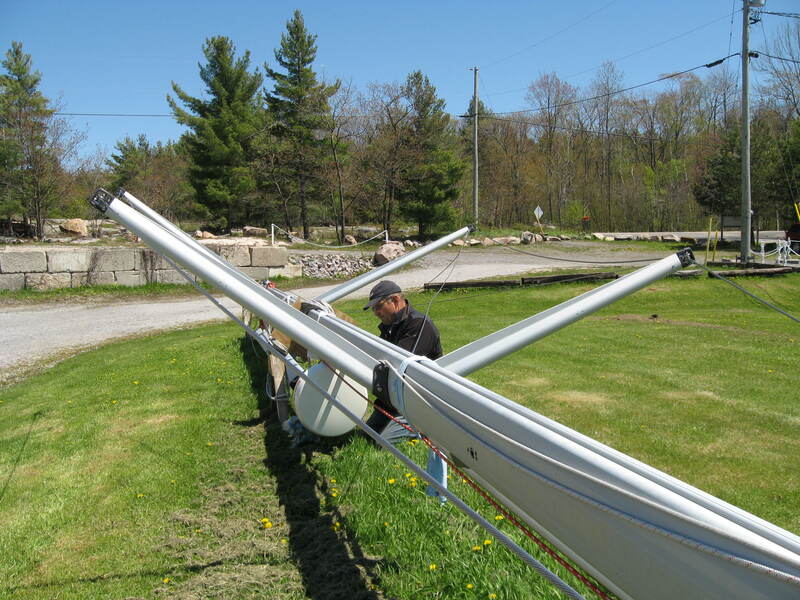 Since the mast was lying down on Killbear Marina’s lawn, (this was our first year with the boat – we’d had it shipped from New York) Dennis installed the Nexus himself. It didn’t work, so he brought everything home and called Fogh Marine (that’s where we bought it) and they told us to call ComNav in BC. So, Dennis called them and went through the steps with the technician. He acknowledged that it was not working and told us to ship it out to them for repair. We called Fogh Marine and they said they could send it or we could. So, to make things easier (as boating season was arriving soon), we packaged it up and sent it off. Insurance and postage was over $100. It came back fixed and by now the mast was up on the boat, so we had to hire someone to climb the mast and install the instrument. Gerry, the owner of Sound Boat Works climbed the mast for $100 and put the pieces on the top like he was supposed to. Everything was great! We set off on our trip and used the wind instrument quite a bit as we found it very interesting to know the wind speed and direction. About two weeks into the trip, the Nexus kept stalling out – it would work for a while and then stop. Finally, it stopped working altogether and for the rest of the summer, we were without it. I have to say though, that we tried many times to get it working and even called ComNav again and the technician helped us but it would not start. They suggested that it was the battery (the one on top of the mast). We gave up at the end of the sailing season and thought we’d tackle this in the spring. In the spring of 2010, we bought a new battery and had it shipped up from the US at a cost of $90. 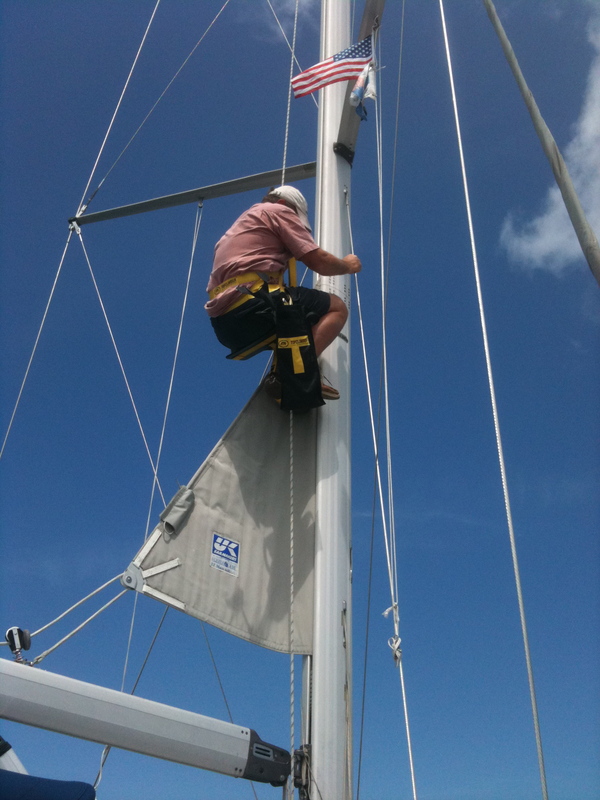 Then, Dennis had to climb the mast himself and bought a really neat mast climber (this cost $400) and install the new battery. Of course, it turned out not to be a battery problem because the Nexus would not work. We called ComNav and they referred us to Ocean Equipment. We called Ocean Equipment and had the Nexus shipped out there (another $100). Dave, the man we dealt with repaired it but told us that there was water damage in the WSI box. Since it was always under the dodger and inside a plastic box, we found this hard to believe. To make a long story short, the replacement WSI box was $300! I paid Ocean Equipment their $300 and didn’t tell Dennis because he was already upset. I had the Nexus shipped to our friends’ house in Wisconsin for $60 because to ship it to Canada would have been over $150. Our friends were going to meet us at Beaver Island so we thought this was a good idea. 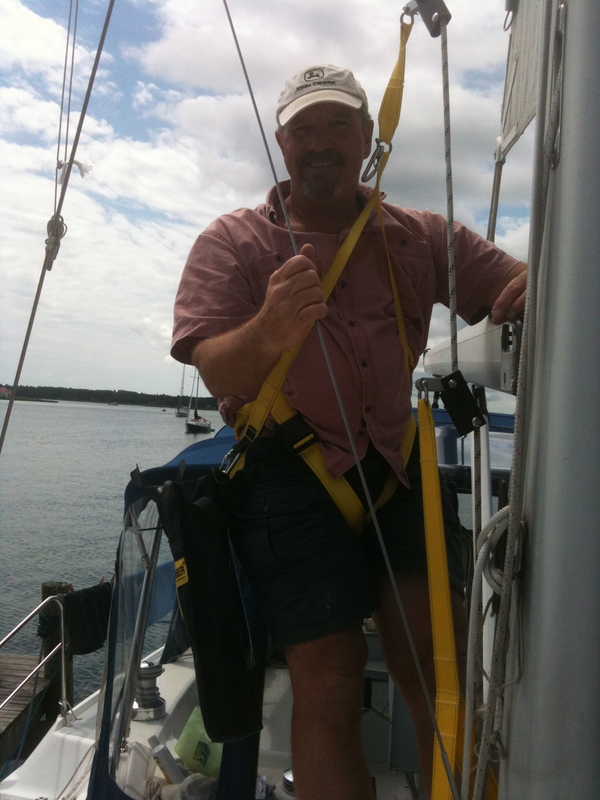 When we arrived, Dennis climbed the mast and installed the Nexus. It didn’t work and we thought that maybe the solar panel needed to be recharged. We left it out in the bright sun for a couple of hours and when we checked it again, it worked! We were very excited about this! We left the next day and happily set off for Petosky. We turned all of our instruments on and the Nexus worked…. for ten minutes. Stay tuned – Fogh Marine has been emailing us and trying to get everything in order. Hopefully they will! Fantastic website. We truly like the idea. Interest content as well as useful details. Thank you.